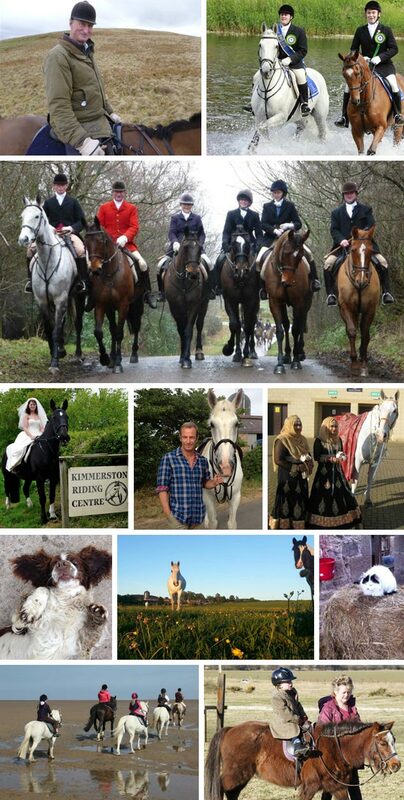 Dickie and Jane Jeffreys established Kimmerston Riding Centre over 30 years ago and have extensive experience of providing exhilarating riding in stunning surroundings. Kimmerston is still very much a family business and much loved by many customers who return year after year. We cater for riders of all ages and abilities, including the disabled, from aged five onwards. We make every effort to match horses and riders according to experience and ability so that everyone will have fun and take away happy memories of the best riding country in England. Your safety as well as your enjoyment is our priority. We have 30 quality horses and ponies, ranging from Ty at 17hh to Mrs Minky at 9hh. All rides are escorted by members of staff to ensure that families of mixed abilities can enjoy rides together. For the experienced, our horses are forward going, many riders are surprised by their willingness. We pride ourselves in also providing well turned out horses for the Border Common Ridings and Trail Hunting. Kimmerston also provide horses for Film, Television and Photoshoots, with the horses available for film work in most locations throughout the UK. There are also horses suitable for use at all kinds of functions, especially weddings. Kimmerston regularly has horses and ponies for sale so please email for more information and check our Facebook page for regular information. Selection of equestrian related antiques sourced from our area! Why not email us with Your ‘Antique’ Requests for silk top hats, silver mounted whips, gold stock pins, saddle flasks, antique prints, oil paintings, sweetheart cavalry brooches etc.